We keep a large selection of quality brand names and new budget tyres in stock, any makes or sizes not in stock can usually be obtained the same day. We do not offer part worn or remoulded tyres. 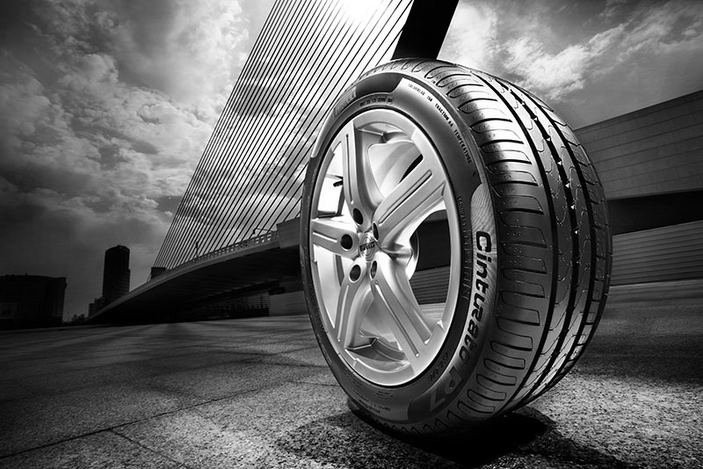 We offer a very competitive service on new tyres and can generally beat the fast-fits on price. A defective exhaust can fail the MOT and causes excessive noise, an unchecked exhaust may also result in fumes entering the car which can lead to headaches, sickness and drowsiness. We replace exhaust systems free of labour charge and our exhaust systems come with a minimum 1 year warranty. Regular brake checks are of the utmost importance to the safety of vehicles and we offer a thorough checkover with a comprehensive report by skilled and experienced technicians. We only ever fit brakes that are of original equipment specification or better. Most manufacturers recommend an air conditioning service every 2 years, not only does it keep your car cooler in the hot weather, a fully charged system will reduce your fuel consumption by putting less strain on the engine. Our extensive service includes a refrigerant charge, replacement of lubricating oil plus a comprehensive system components check. We also offer an anti-bacterial treatment when required. Our trained technicians also provide a cambelt replacement service, this is a vital requirement on most vehicles at manufacturer recommended mileage. The cambelt is one of the hardest working parts in your engine, driving major parts of the engine and keeping everything synchronised. Changing it prevents snaps, cracks and tears which in turn minimises the risk of major engine damage. Give yourself the peace of mind knowing excessive wear to your engine and the risk of snapping of the belt have been minimised and that your engine life is prolonged. We'll check all your bulbs to ensure they're working correctly, free of charge. We'll tell you if any need replacing and usually replace them right there on the spot for you. If a headlight is out you won't be able to see the road ahead properly, if a brake light is out the person following you may not stop in time.